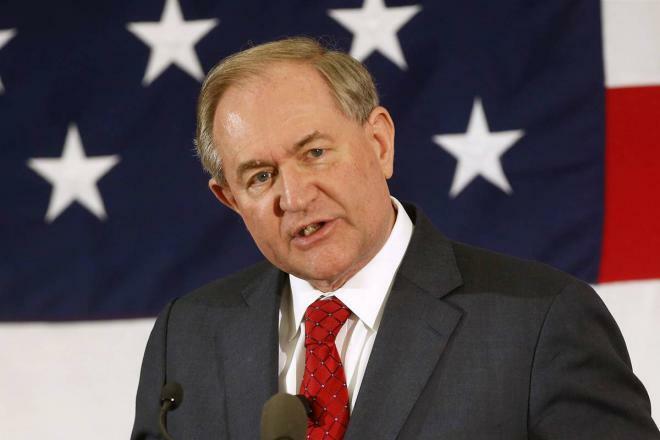 James Stuart "Jim" Gilmore III (born October 6, 1949) is an American politician who was the 68th Governor of Virginia from 1998 to 2002. He is a member of the Republican Party.A native Virginian, Gilmore received a Bachelor's of Arts and a Juris Doctor from the University of Virginia, and then served in the U.S. Army as a counterintelligence agent. He later was elected to public office as a county prosecutor, as the Attorney General of Virginia, and as Governor of Virginia.